This is where all of culture and all of time are collapsed into one seductive portal and viewed through the panoramic lens of the exotic. Come and embark on an armchair-travel virtual-voyage to the heart of timeless darkness and beyond; embrace the numinous monolith of the exotic immensity. Let us find that place where hybridization meets its destiny as pure fantasy. Let us become observers observing those others who are ourselves. You wear your mask and I'll wear mine. 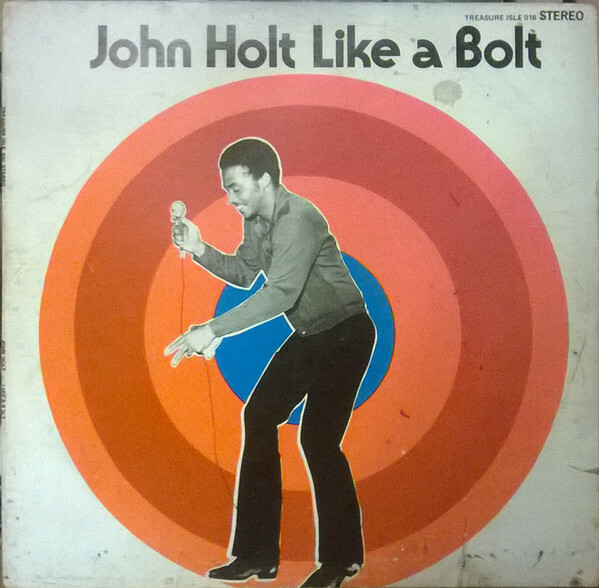 John Holt is in the Paragons, right? tonight, ample attention on both! Hi hi Geeze and Coelacanth! Speaking of quality, hi to coel, geeze, Rev, james, ifny, doc, hyde,..! ...program hasn't anything as vulgar as a Page there ? 'kay. I do for you. Hiya Hyde! RevRab! Coel! Fleep! Franco T! y'all! Evan, rum & a spliff to share. "BIG SUNSPOT: Sunspot AR2736, which hurled a CME toward Earth yesterday, is growing larger and crackling with C-class solar flares. The active region now sprawls across more than 100,000 km of the solar disk and contains multiple dark cores as large as Earth, making it one of the biggest sunspots in recent years." fleep, don't forget to surface first. There are few things more wonderful than Jamaican 7" discs. next one is the last from Pleasure, we move on to Treasure Dub, the first in the "series"
I am enjoying this vibe so much, thanks Flash. Sunshine is here to stay. don't tell me what your friends are wearing.. This is the first time I've been able to tune in live. This is great! I wanna be on a beach (and I don't even love beaches). prev. unreleased dub of Dillon's version "Woman of the Ghetto"
When I lived in Bed-Stuy, there was a reggae record store called, Kulture Lion on Washington and Fulton. I picked up most of the Treasure Isle Recs. Many were of poor vinyl physically, or had off-center labels (one came onto the last grooves of the middle of the last track), or had holes off-center. Is this the right room? hate to interrupt.. Dub?! It's very untoward of me to be so late. There's so much color and depth in all this. Really love it. Hey Danny! I'm sick as a dog, which means I get to stay home and listen to your show. Franco making lemonade outta lemons. Well done! ..one my fave albums of dubby-toasting-singing (not strictly dub) reggae is Mikey Dread's "Beyond World War III" -1982. it glows. Mikey Dread was an engineer at Treasure Isle for a bit, DJ too. Not exactly off point, but for those who are as nutty about this song as I am, check out Who Shot The Barber by Dr. Alimentado on Green Sleeves. "WWIII" is psychedelic, sparkly; I first heard it...illuminated, shall I say. do you recommend WWIII or Beyond WWIII or both? I've not heard the prior album yet! The Paragons tune, was that a harmonica? Hiya Flash, Explorers. Checking in late on a steamy, storm a comin' Sydney morning. Perfect soundtrack for the storm clouds to burst to in the coming hour. That Holt track something so gorgeous. ..just checked; both are the same album with a few songs different. I much prefer 'Beyond' as its opener really feels like one! // yeh I thought it might be violin. Overjoyed you take the time to do so Evan, always a happy time of the week thanks to you and LD. love how he sings the word "financially"
Really late night, heading home, great sounds Evan, thanks! So many great versions of Pauper. A tune that gives me a glow regardless of the how dark my mood. The hits keep a coming, really feel for poor souls who have never grasped dub/reggae. i need to see if i have those versions, chrest! evenin', flash. whatta great post-marathon show. Beautiful show, Evan. Loved every second. Thanks for sharing your explorations every week. Loving this. Thanks. I’ll hear more in my dreams and maybe the archive. Pat Kelly's plea just answered in my neck of the woods.You have some real juju going on Flash. gonna fade a little early. thanks for the killer tracks! Having been knocked out with the music on for most of the afternoon, I will attest that this music is the perfect soundtrack for some crazy, crazy dreams. Awesome show (what I caught anyways), be visiting the archive for this one on a regular basis. Until next week big love to ya Flash. Thanks for the gems from your Treasure Isle selection Flash! It's been fantastic listening in. Thank you! Thanks Flash, I'm sitting up straight now. great tunes Flash, next time.